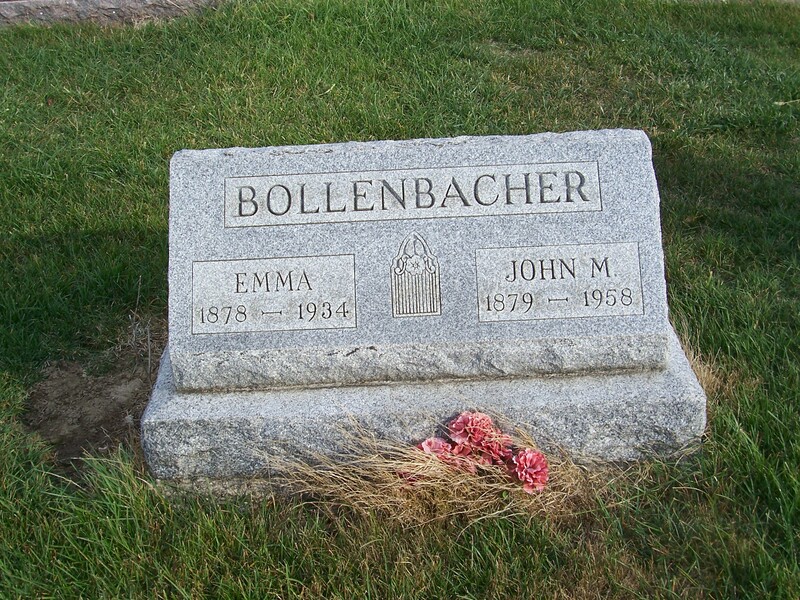 John Martin Bollenbacher was born 27 July 1879 in Liberty Township, Mercer County, Ohio, the son of Jacob (Jr) and Helena “Lena” (Breichisen) Bollenbacher. Interesting, and somewhat confusing, that John Martin and Emma both had fathers named Jacob Bollenbacher. John Martin’s father was referred to as Jacob Bollenbacher Jr. In 1940 John Martin Bollenbacher lived in the same house in Jefferson Township, Adams County, Indiana, as he did in 1935, where he farmed. His household in 1940: John, 60; Minnie, 43; Lucile Bollenbacher, 32, daughter; and Thorton Murphy, 21, laborer. John was a farmer all his life and according to Zion Chatt’s records he was a Jefferson Township trustee for 8 years. 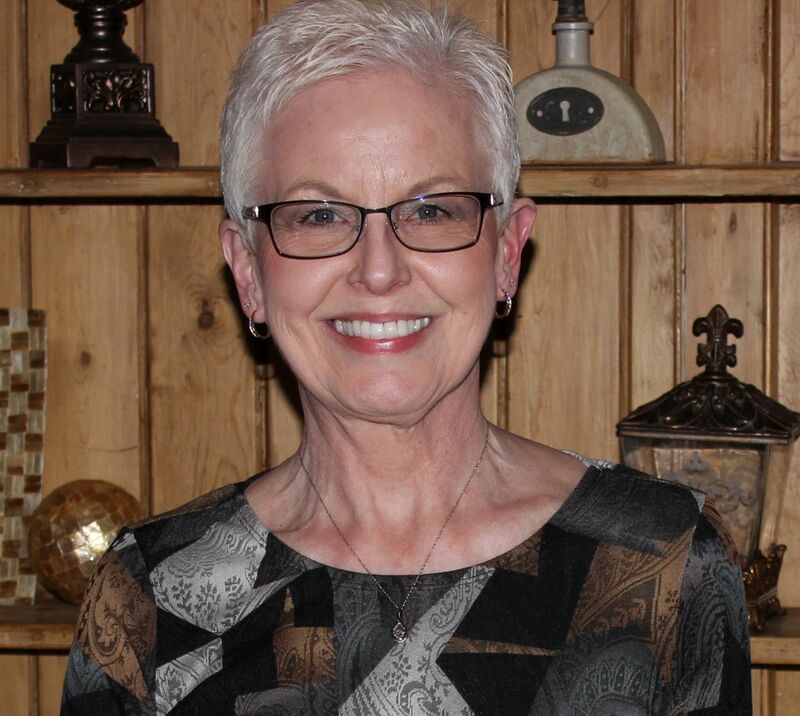 Find a Grave.com, Helina (Brechisen) Bollenbacher, memorial #76770092. 1880 U.S. Census, Liberty, Mercer, Ohio, ED 188, p.479A, dwelling 136, family 144, John Brahm; Ancestry.com; NARA microfilm T9, roll 1048. “Ohio, County Marriages, 1789-2013,” database with images, FamilySearch.org, Jacob Bollenbaugh & Louisa Deiner, 24 Feb 1881; Mercer County Marriages, Vol. 5, p.52; FHL microfilm 914956. 1900 U.S. Census, Liberty, Mercer, Ohio, ED 85, p.11, dwelling 218, family 224, Jacob Bollenbacher; Ancestry.com; NARA microfilm T623. “Ohio, County Marriages, 1789-2013,” database with images, FamilySearch.org, J.M. Bollenbacher and Emma Bollenbacher, 9 Aug 1900; Mercer County Marriages, Vol. 8, p.162; FHL microfilm 914957. Indiana, Death Certificates,1899-2011, database on-line, Ancestry.com, Emma Bollenbacher; Indiana Archives and Records Administration, Indianapolis, Death Certificates, 1934, roll 9. 1900 U.S. Census, Liberty, Mercer, Ohio, ED 85, p.6, dwelling 111, family 116, Jacob Bollenbancher; Ancestry.com; NARA microfilm T623. This Jacob Bollenbacher (1837-1915) had three wives: Louisa Friedericka Becker (1848-1864); Caroline Schaadt (1843-1880); and Magdalena Distler (1856-1923). 1910 U.S. Census, Jefferson, Adams, Indiana, ED 4, p.2B, dwelling & family 35, John Bollenbacher; Ancestry.com; FHL microfilm 1374351, NARA microfilm T624, roll 338. Hulda Berron was the daughter of Fredrick Berron (1862-1915) and Louisa (Bollenbacher) (1870-1911). Louisa (Bollenbacher) Berron was the daughter of Jacob Bollenbacher (1837-1915) and his second wife Caroline Schaadt (1843-1880). Louisa and Emma Bollenbacher were sisters, so Hulda was Emma’s niece. 1920 U.S. Census, Jefferson, Adams, Indiana, ED 4, p.7B, dwelling 141, family 51, John M. Bollenbacher; Ancestry.com; NARA microfilm T625, roll 420. 1930 U.S. Census, Jefferson, Adams, Indiana, ED 4, p.4A, dwelling & family 72, John M Bollenbacher; Ancestry.com; FHL microfilm 2340309, NARA microfilm T626, roll 574. “Ohio, County Marriages, 1789-2013,” database with images, FamilySearh.org, John M Bollenbacher and Minnie M Slusser, 12 May 1938; Mercer County Marriages, Vol. 15, p.119; FHL microfilm 2366956. 1940 U.S. Census, Jefferson, Adams, Indiana, ED 1-4, p.4B, line 58, John Bollenbacher; Ancestry.com; NARA microfilm T627, roll 1024. Indiana, Death Certificates, 1899-2011, database on-line, Ancestry.com, John Martin Bollenbacher; Indiana Archives and Records Administration, Indianapolis, Death Certificates, 1958, roll 9. Oh My Karen. This is really confusing with so many of the same names. Not sure how you kept track. Jacob’s and Charle’s (Karl) families had a lot of the same names with their children as well. Crazy!! Thanks for all you do with all the family histories you are keeping. These Jacob Bollenbacher families were very confusing. With the duplicate names and multiple marriages, it took more time than usual. It did help that the one went by the name of Jacob Jr and that their wives had different given names. Thanks for reading and for writing!